So I have to admit, I subscribe to Martha Stewart Living. It’s ideal for me, because I like crafty stuff, as well as liking to cook and bake. So it saves me from having to subscribe to multiple magazines, since I barely have time to read just the one. Plus, its really, really good. This month’s Martha had a chocolate chip recipe that was supposedly for everyone: people who like chewy cookies, and people who like crispy cookies. My husbands favorite cookies are chocolate chip, so I thought I have to try this one, since its claiming to be the best. 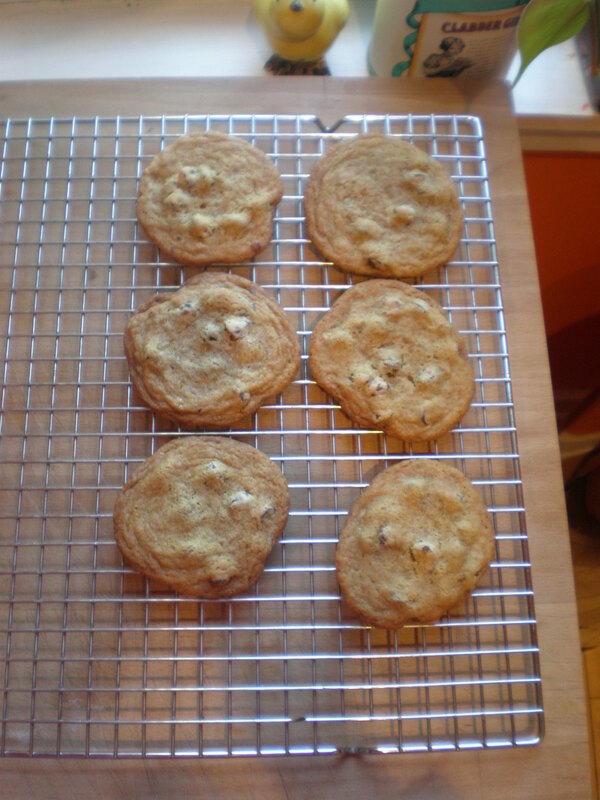 I seem to be on a cookie kick lately, which is kind of weird…I’m usually more of a cake/pie baker. But I’m finding that its easier to throw together a batch of cookies with a one-year-old running around my feet than anything else. I can also just bake one or two sheets, then save the dough for later when I have more time. This chocolate chip recipe is only slightly different from the one on the back of the Toll House chip bag, which is what I usually use. 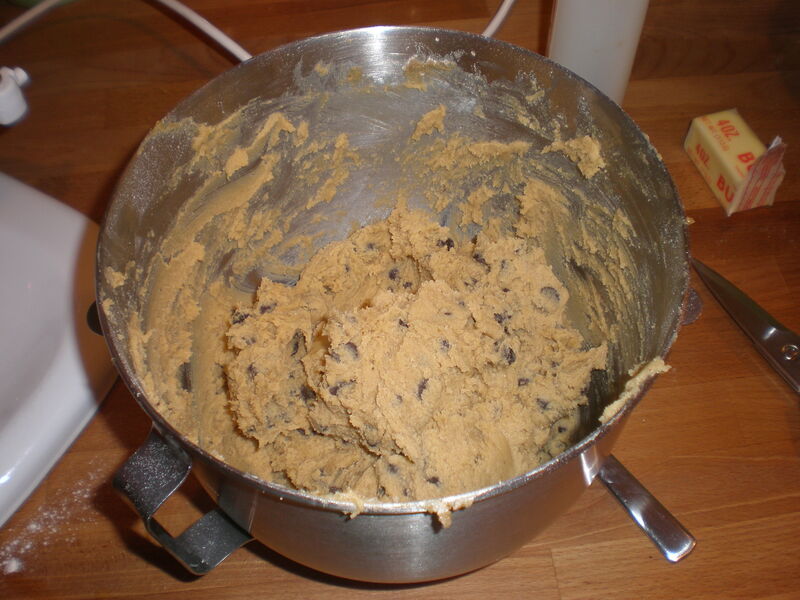 I like using the dark brown sugar…it gave them a little more flavor. These definitely lived up to Martha’s testimonial of being the best! They didn’t fall flat like every other recipe that I’ve used do, and they have a chewy center with a nice crispy edge. Just make sure that you don’t over-do them…they need to be just turning golden brown, and still just slightly underdone in the middle. I over-did a few batches, and they weren’t as good. 1. Sift together flour, salt, baking powder, and baking soda. 2. Preheat oven to 350. 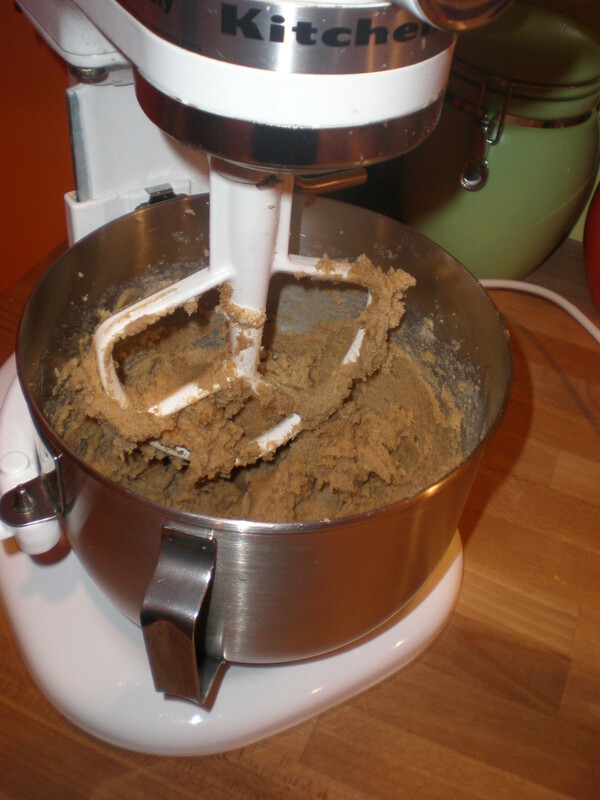 Beat butter and sugars with a mixer on medium-high speed until pale and fluffy, about 4 minutes. Beat in eggs one at a time. Add vanilla. Reduce speed to low. Add flour mixture, beat until combined. Mix in chocolate chips (I did this by hand). 3. Using a 2 1/4 inch ice cream scoop (about 3 tbsp), drop dough onto parchment-lined baking sheets, spacing about 2 inches apart. Bake until golden around edges but soft in the middle, about 15 minutes. (That was too long for me…check after 13 minutes to be sure). Let cool for 5 minutes. 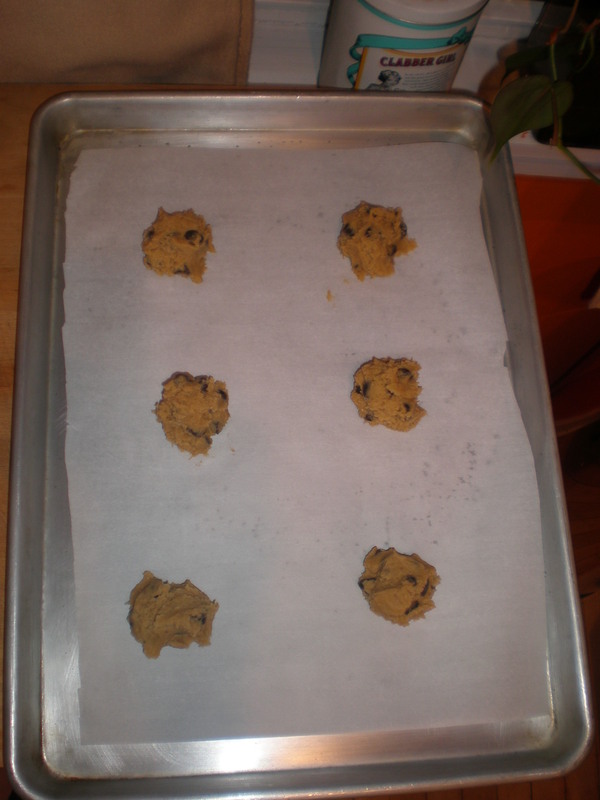 Transfer cookies to a wire rack, and let cool completely.